Era Nouveau leather is comprised of hand selected premium hides, tanned and finished by some of the World’s finest and skilled craftsmen. The Era Nouveau tanning and finishing process yields extremely soft, supple and smooth handed leather. We offer a broad color pallet and spectrum of finishes, ranging from refined luxurious single tones to multi-tone hand applied finishes with a slightly aged and weathered charm. 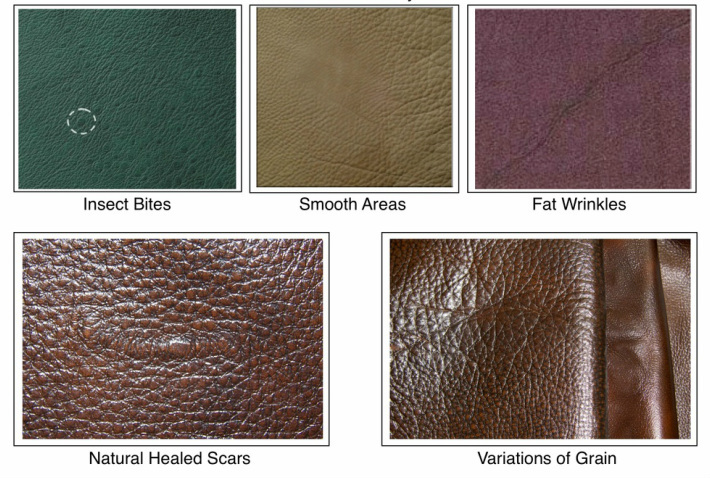 Era Nouveau calls attention to the natural beauty and characteristics of leather; slight variances of color and grain, wrinkles, insect bites and closed scars. These “kisses of nature: enhance the overall appeal of truly premium leather. The “ Venezia Collection” engages all of ones senses. The free- form finish creates subtle variations of color using multiple hues to achieve a rich depth of color. The multi-tone hand applied finishes add depth, character, with a lightly aged and weathered charm. The tanning process yields an extremely soft, supple and smooth handed leather, highlighted with a light lacquer finish. The collection calls attention to the natural beauty and characteristics of the leather; slight variances of color and grain, wrinkles, insect bites, and closed scars. The “kisses of nature” enhance the overall appeal of truly premium leather. These characteristics emphasize Era Nouveau doesn’t over process or finish our leather with heavy pigments or paints masking the individual uniqueness each hide has to offer. The Venezia Collections offers durability, allowing one to enjoy their premium leather investment for years to come. The "Aficionado Collection" is Era Nouveau's premium leather offering. These leathers are in the top 3% of all hides globally. During the tanning process these hand selected hides are tanned and finished using only the best materials money can buy. Our goal is to keep Aficionado hides in their most natural state, accentuating all the natural details and individuality each hide has to offer. This collection is for the distinguished leather buyer who understands and enjoys the character and beauty of true fine leather. The "Simplicity Collection" offers the casual contemporary and transitional customer a uniform single tone leather. Featuring a color pallet range from warm earth tones to deep ashen grey and black. The tanning process yields an extremely soft, supple and full handed leather, with an ever so slight sheen. The collection calls attention to the natural beauty and grain of leather. The smooth buttery hand, again emphasize Era Nouveau doesn’t over process or finish our leather with heavy pigments or paints. The Simplicity Collections offers durability and uniformity, allowing one to enjoy their premium leather investment for years to come.